We have come to depend on the garbage disposal as the workhorse of the kitchen. Invented in 1927 by John Hammes, the garbage disposal has remained fairly consistent in its design, but has increased in use to the point of becoming a required appliance in just about any kitchen. Understand, repair, select and install a garbage disposal once you've reviewed these key tutorials. The garbage disposal is mounted to the underside of a sink and is designed to store food waste in a hopper chamber (just beneath the sink drain and the upper part of the disposal). 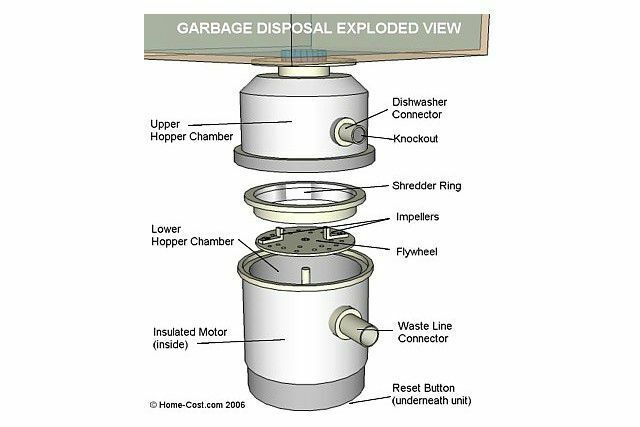 This graphic tutorial provides you with an "exploded view" diagram of the garbage disposal's inner construction, including the hopper chamber, and also provides you detailed descriptions. Your garbage disposal is different from your actual garbage can. Not all food scraps and liquids are meant to be poured into your disposal. Discover what foods are best left for the trash and what a garbage disposal is really meant to be used for. Learn how to troubleshoot common garbage disposal problems and how to repair the disposer, saving yourself hundreds of dollars in service calls or unnecessary purchasing of a new garbage disposal. Clogs are most often caused by how the ground food waste reacts to water or lack of water after the disposal unit has ground it up and sends it on its way into the waste line. This valuable tutorial will tell you how to prevent and repair a clogged disposal line. 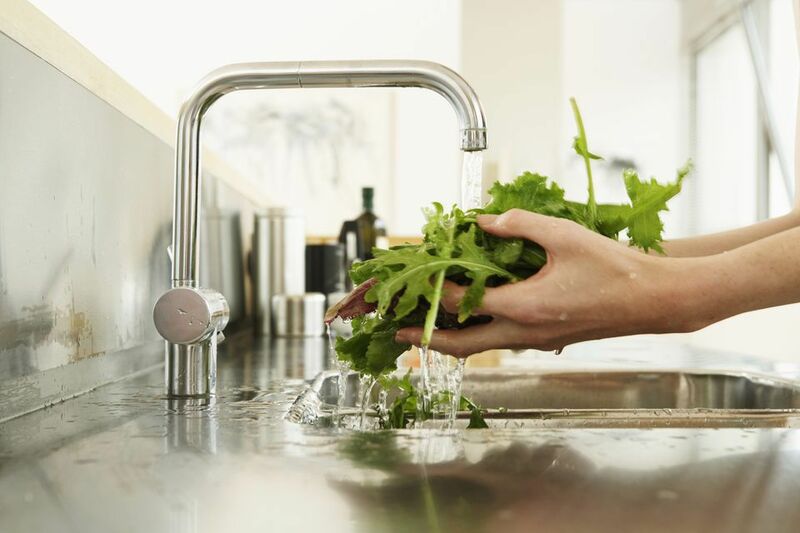 Let's take a look at the basic types and main features of the garbage disposal and what to look for when selecting one. This tutorial looks at garbage disposal types and features and also provides specific disposal recommendations. Get ready to install your own garbage disposal. Installing a garbage disposal is fairly straight forward but does require some plumbing and electrical wiring skills, and we show you how in this tutorial. Removing a garbage disposal is necessary if you are going to replace a sink or a failed garbage disposal. We show you how in this tutorial.